Melanie Klein was an English psychoanalyst who was born in 1882 and died in 1960. She was a pioneer in child analysis and a gifted clinician who took Freud’s discovery of unconscious mental states to a much greater depth. Along with her colleagues and students, Melanie Klein mapped the earliest development of the infant creating the most extensive array of models for understanding the baby core of the personality that exists in all of psychonalysis. Kleinian models for normal development of the unconscious inner world, and for mental functioning, both in health and disturbance, are not easy for someone new to them to get a foothold. They necessitate that the student learn a new way of thinking, i.e. to learn to “speak baby”, and they require some familiarity with Klein’s writings. Dr. Minnick has been exploring these ideas for more than forty years now, had the good fortune to have a Kleinian analysis and Kleinian child supervision, and has worked very diligently to gain a understanding of these ideas and share them with other interested clinicians trying to work with Klein’s ideas. Toward this end he has taught more than 55 unique seminars over a 30 year period on Kleinian ideas and their application to life in and out of the consulting room. 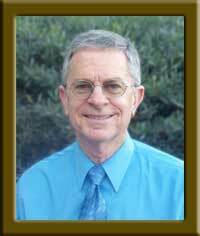 This website is an expression of Dr. Minnick’s desire to make his years of teaching and understanding available to any mental health professional or interested individual. His goal is to contribute to preserving, sharing, and passing forward to future generations these invaluable and precious ideas. While some of his ways of teaching these ideas blends them with more recent neuroscience, it is hoped that his ultimate manner of communicating the ideas remains faithful to Melanie Klein’s intended meanings.